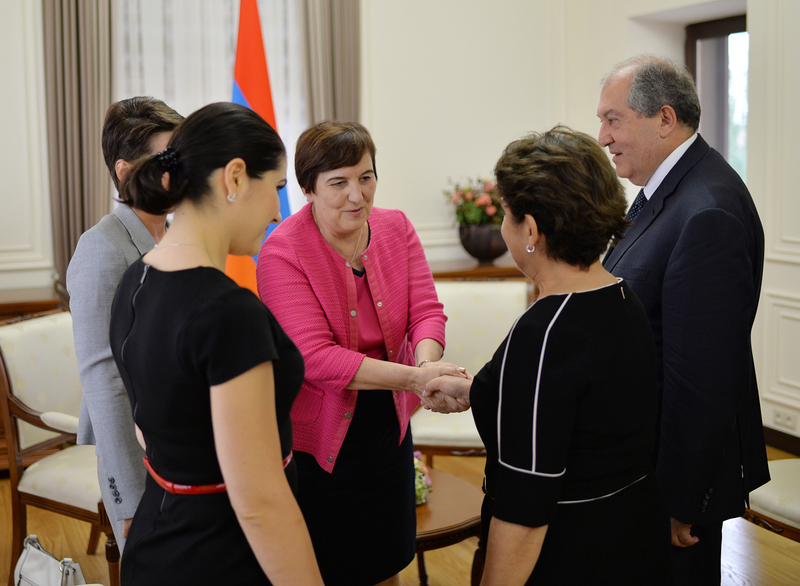 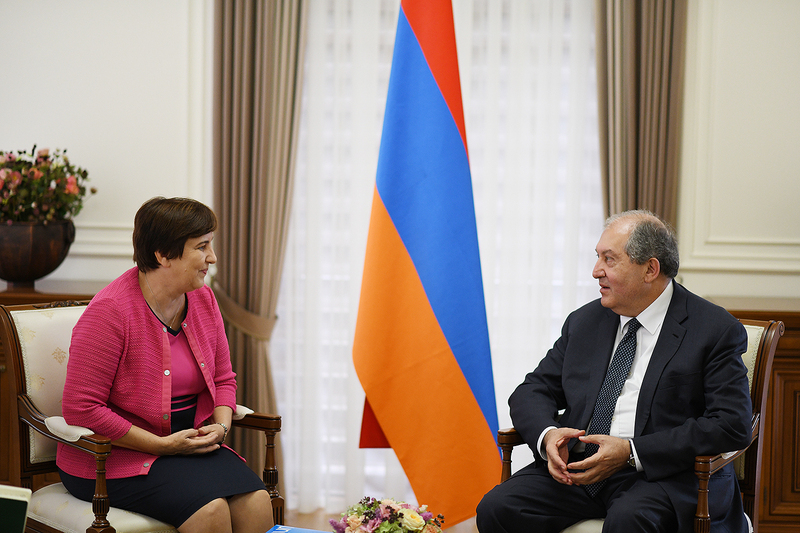 President Armen Sarkissian received today the representative of the UN Children’s Fund (UNICEF) in Armenia Tanja Radocaj. 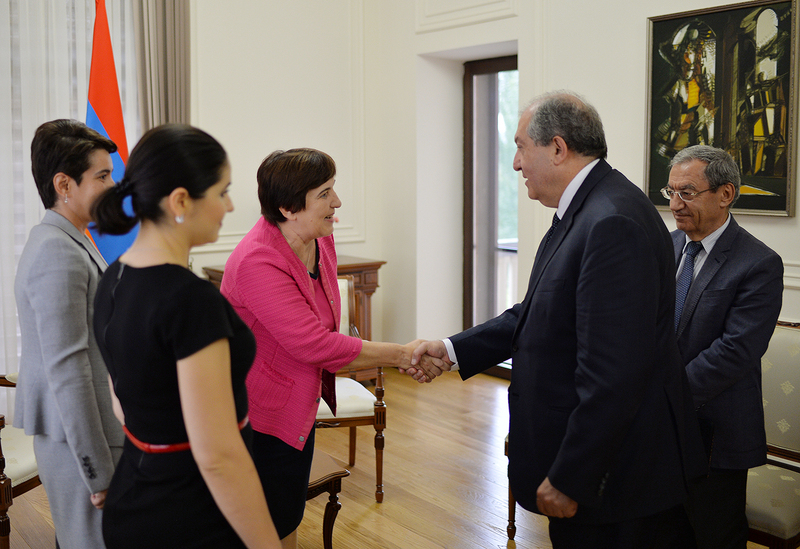 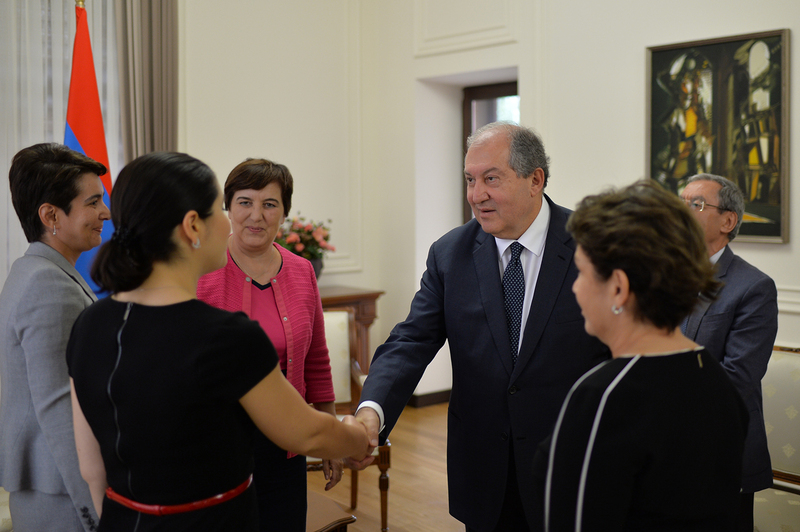 Present at the meeting was also Mrs. Nouneh Sarkissian. 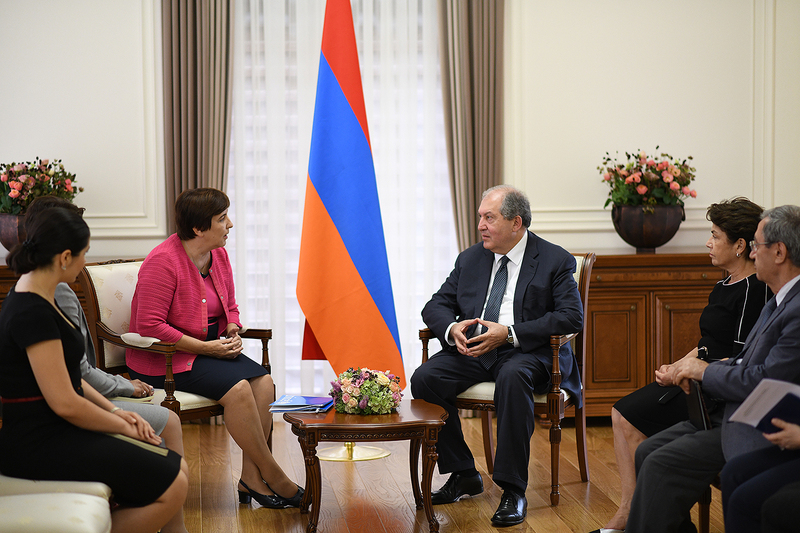 The President hailed activities of the UNICEF in Armenia aimed at the protection of children’s rights as well as resolution of health and educational issues through different programs and initiatives. 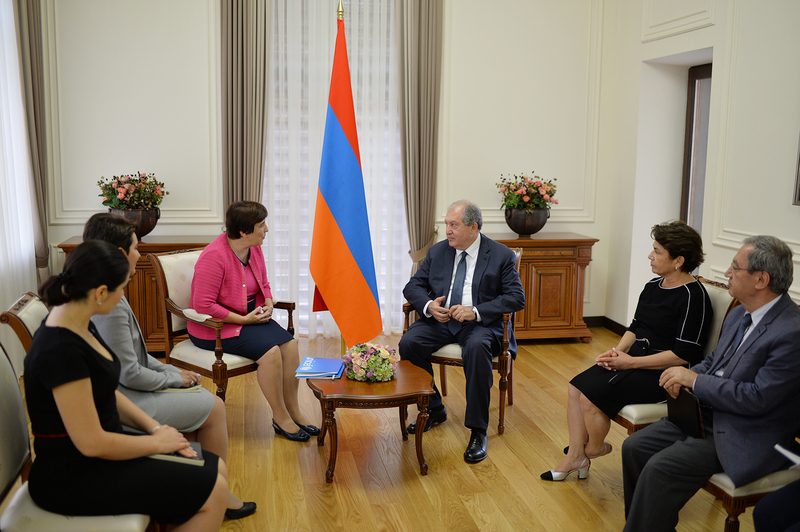 The parties exchanged views on the issues related to the protection of children’s rights, challenges and priorities existing in that area. 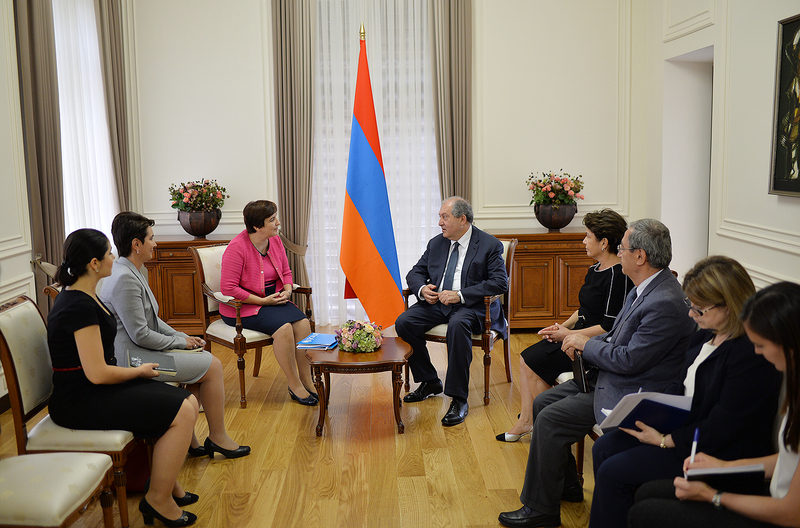 President Sarkissian expressed readiness to assist in the implementation of the UNICEF programs intended for children’s, teenagers and young people’s well-being and, at the same time, proposed to expand their framework and augment them with new projects.